InterServer.net has been providing web hosting services since 1999. Use Interserver Coupons to get discount on Cloud Hosting, Quick Servers, and Dedicated Servers along with Colocation services during checkout. Students can get free hosting for the period of 1 year. Get Openvz VPS at just $0.01 for first month. Avail this offer by using InterServer coupon code provided here. This is not available on Windows VPS. Now get dedicated hosting for your business at affordable price $55/mo. 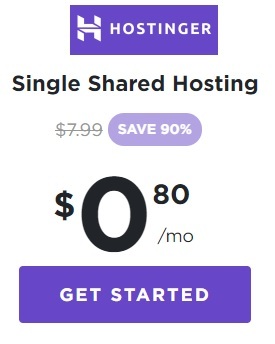 Now get Reselller Hosting at just $19.95/mo. No setup fees. Use Interserver promo code to get first month of shared hosting for $.01. Use Interserver Coupon to get 50% off on VPS (Virtual Private Server) Hosting Plans for the first month. How to Redeem Interserver Promo Code? In order to avail discount from Interserver follow the following steps. 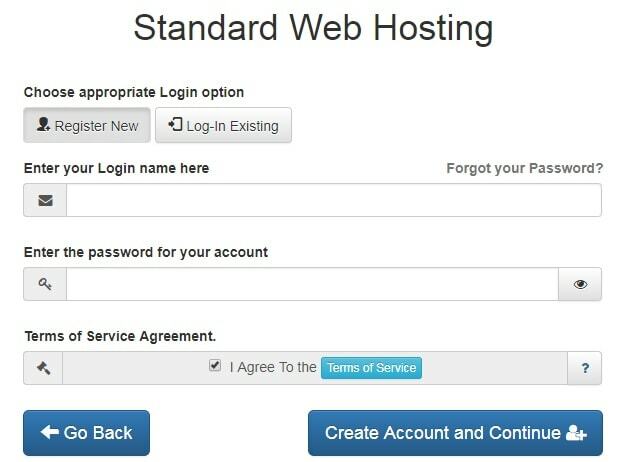 Step 2: Choose the hosting service that you want to buy. e.g. Shared hosting, VPS hosting etc. Step 3: Register a new domain. 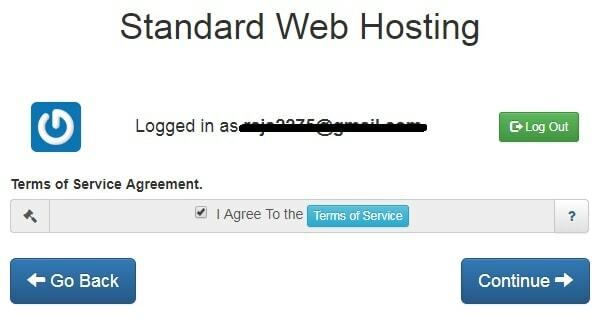 Step 4: Now if domain is available then you can either login is you are already Interserver customer or register yourself by providing email and password. Step 5: In next step you will be asked for basic details like First name, Last name, Address and other details. Step 6: Next click on “Continue” button by selecting terms of services. Step 7: Finally Choose the billing interval like 3 months, 6 months, 12 months, 36 months. 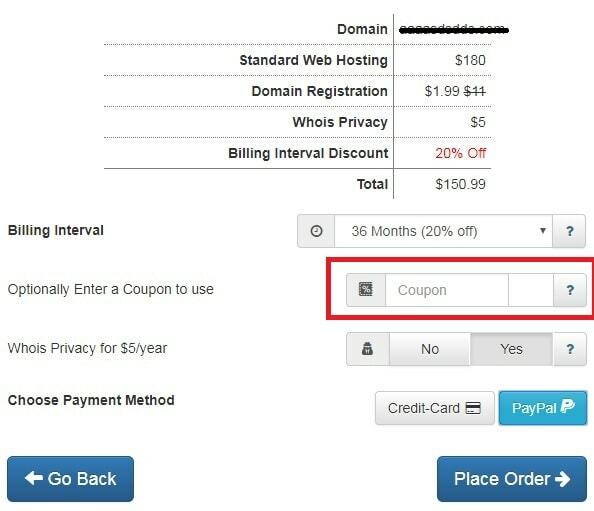 Enter “Interserver Coupon Code” into coupon box. That’s done. Step 8: Make Payment via Credit Card or PayPal. Interserver provides various hosting services like web hosting, domain registration, Reseller Hosting, VPS Hosting and Quick Servers and many others. Let us get some details about it all. Get best coupons for shared web hosting. 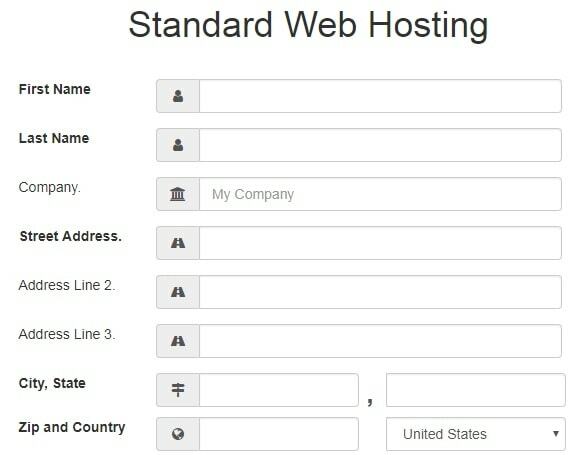 Standard hosting provides various features likes unlimited storage space, unlimited transfer, weekly backups, speed optimization, free cloud flare CDN and many others. It comes with many features which includes Instant account Setup, easy to control your hosting accounts, daily data backups, unlimited domains, one click scripts installation. It also includes some of the paid features like unique IP address and Private DNS Servers. VPS hosting plans starts with just $6/month. VPS hosting is a cost effective compared to dedicated server hosting. Various VPS OS available (Ubuntu VPS, FreeBSD VPS, Centos VPS, Debian VPS or Windows VPS) from which you can choose. Quick Servers are dedicated servers with a 20 minute set up time. Quick Servers run through KVM virtualization and it can be delivered with the full resources of a dedicated server. Students can get 1 year web hosting at free of cost. Students just need to sign up with their schools email address (.edu) or contact directly. Establish your organization’s online presence by customizable website that allows you to spread your message effectively. 450+ Cloud Apps like WordPress (WordPress Promo Code), drupal, joomla, magento and mambo are available for 1 click installs.